Despite the growing buzz about disappearing videos, chatbots, and other social media innovations, email still holds a strong position in the digital marketing ecosystem. It’s the third most influential medium for B2B audiences – which is no surprise given the sheer size of the world’s population that use email, estimated to be closing in on 4 billion users. The fact that email is a powerful, effective, and cost-effective marketing tool is obvious. But, how can you build an email list and benefit from its huge potential? That’s where things can get a bit complicated. Email list growth has been a topic of great interest in the digital marketing space for over a decade now. 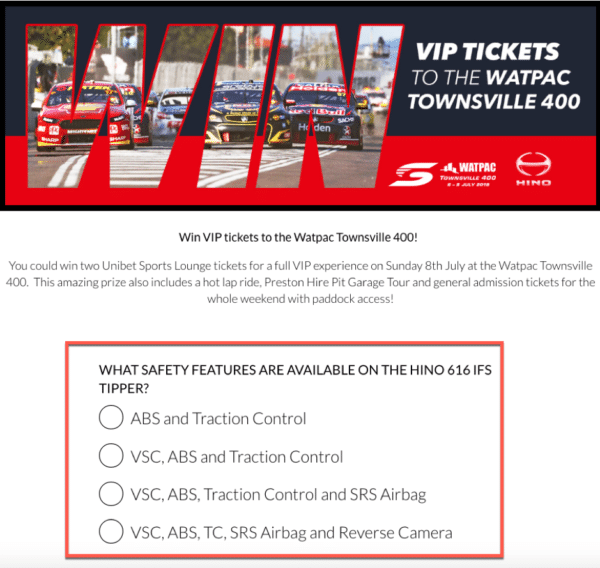 Due to the reach and return of email marketing, businesses and marketers are desperate to find ways to expand their databases and communicate with interested parties in the safety of their inbox. But with the growing maturity of email marketing comes a dilution of outdated list building strategies. Some tactics don’t work like they used to, and others simply deliver you disengaged, unqualified leads that result in low conversion rates. 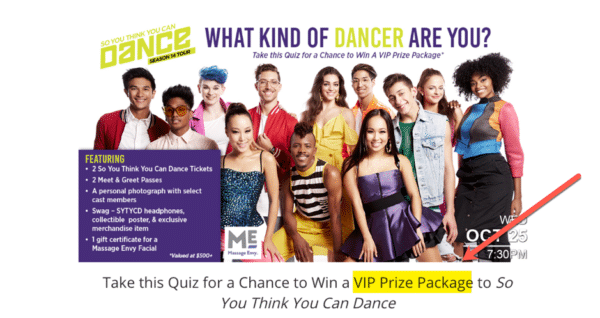 A somewhat underutilized method for capturing email subscribers is marketing quizzes – and they are super-effective at doing so. Why Are Quizzes So Good At Capturing Leads? Quizzes are fun, shareable, and tell you a lot about your subscribers. The two-way nature of quizzes engage prospects at a whole new level, and their information-gathering design helps qualify leads and improve conversion rates. Collecting user data by traditional means can be a slow and costly process. A quiz makes it interactive and centered around your audience’s desires and interests. They focus on the respondent and their needs, gratifying them with a fun time and a personalized result that they can share. Online users like to share things that help them define themselves, project a certain image, and establish connections with like-minded people. According to BuzzSumo, the average quiz gets shared 1,900 times. Sharing something about yourself, even if it is a silly quiz that tells you which character you are from Disney’s Frozen, contributes to the online persona you are trying to build. That’s why people are so quick to react to this type of content. Not only that, but quizzes have a huge potential for going viral and can help you put your business on the map if you know how to build them and tap into their power. How to encourage social sharing after someone completes your quiz. Unlike most marketing tests, that are static and take a long time to deliver meaningful data, quizzes are dynamic and fast at capturing customer preferences. A smart quiz can adapt to the respondent in real-time, by filtering certain responses and changing accordingly. That way, your quiz will remain relevant to the respondent while also gathering valuable data at the same time. Providing positive experiences to your prospects is the key to capturing their attention and persuading them to join you for the ride. If your quiz is engaging, well-written and easy to complete, the respondents will happily take the time to go through it and share it at the end. What you get in return is a growing database of new and potential subscribers, complete with information about demographics, preferences, attitudes, behaviors and so on. 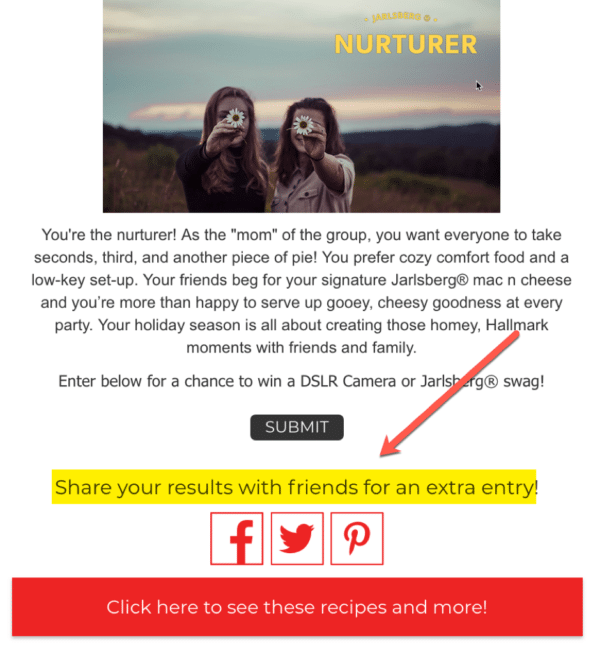 So then, how do you use quizzes to build your email list? Build your quiz with your target audience in mind. Make sure that the content is relevant to them and responds to their needs, even if we’re talking about the need for entertainment. That way, people who come across your quiz but don’t match your ideal profile can skip it, thus not sending you irrelevant leads. Qualifying quiz participants with targeted questioning. The beauty of quizzes is that they can be active and collecting leads for a long time. A good quiz will update your email list regularly, for many years. But, to tap into this potential you need to write evergreen quiz questions. Avoid any reference to trendy or viral things, as it’s unlikely people will remember them in a few months. Also, stay away from seasonal content, unless it is highly relevant to your quiz. Make sure that your quiz can be shared two years later and it feels natural, present and relevant. A big part of an interesting quiz is getting to show your results and persuade your friends and peers to take the quiz too, as it allows you to compare yourself to others. Even if your quiz is great and a lot of fun to fill in, if it’s not easy to share, then the respondents will most probably leave without telling anyone! 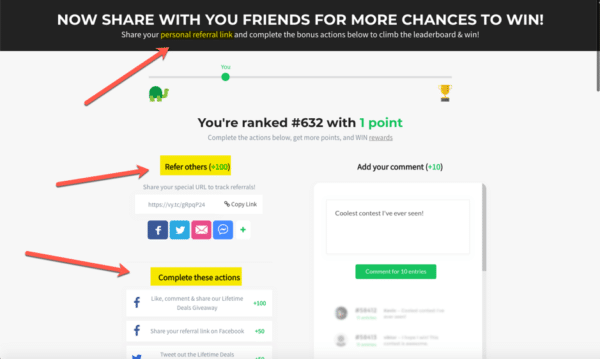 It is very simple to add social media shortcuts, a sharing button right at the end of the quiz, and a copy of the link that users can share manually. Including social sharing icons on your landing page. Share it yourself on social media platforms too to give it a boost. Don’t forget that quizzes – as fun as they are – should still follow the rules of other forms of digital marketing. You need to make them visually appealing, as the attention span of an internet user can be very limited. Write an eye-catching main question to persuade your subscribers to open and fill in the quiz. Leave a bit of mystery and provoke the reader’s curiosity. Ensure the rest of the quiz looks great and challenge your prospects a little bit. The written content is crucial for the success of your quiz. Use a relaxed, fun and entertaining tone that matches your audience’s profile and style. Write catchy phrases, but try to avoid using too many “salesy” or promotional words. The wording and tone should be closer to two friends having a conversation than to a sales pitch or promotional message. 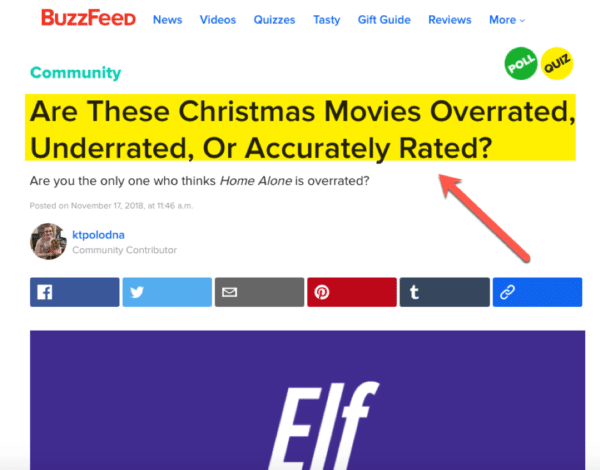 Even though this BuzzFeed quiz is seasonal, it’s an example of a catchy headline that draws you in and makes you want to see the results! An example of a catchy headline from a BuzzFeed quiz. Like I mentioned before, internet users have limited attention spans. Your quiz should be short and easy to finish. Test it yourself and send it to a few test groups from your subscriber list to make sure most of them get to the end without giving up. Also, make sure that the results of the quiz stay on a positive note, as that can influence the respondent to share it with their network. Making quiz questions visual and easy to answer. If you want to increase your chances of getting quiz responses, give your subscribers an incentive for participating. For example, you could give them a unique promotional code that they can use to get a discount on your products or services. Another idea would be a personalized picture or badge they can share on their social media networks. If you need fast and impressive results, you can organize a contest that is linked to your quiz. Give away something of value and make the quiz a participation condition. Including a prize giveaway with your quiz. As long as they ask the right questions with the right wording, quizzes are fantastic data collecting tools. Use them properly by following the tips in this article and your subscriber list will start growing organically – bringing you relevant prospects and not just random email addresses.